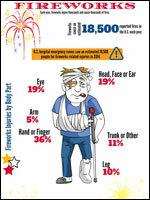 The Chambersburg Fire Department urges all to let the fireworks to the professionals. Please enjoy the spectacular display at Memorial Park on Tuesday July 4th. Please listen to local radio stations and look on social media for times and rain dates. Please do not contact the fire department with questions about the fireworks. The fireworks are hosted by the 21 Day Retreat as well as the Chambersburg Rec Department.